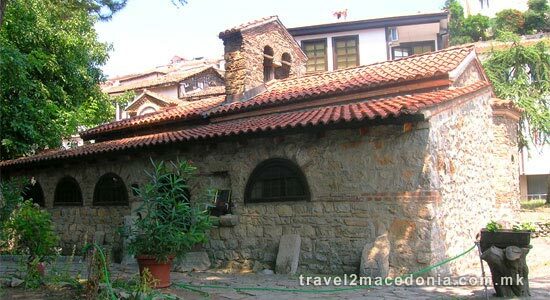 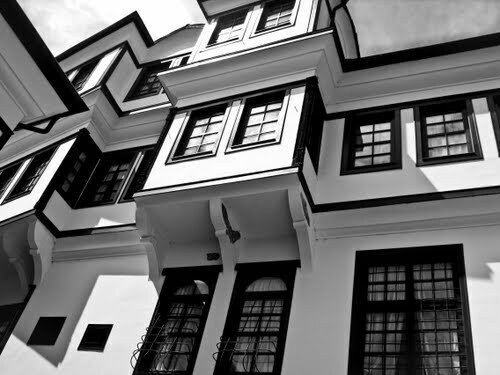 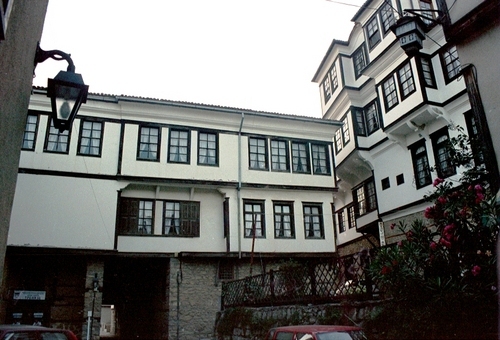 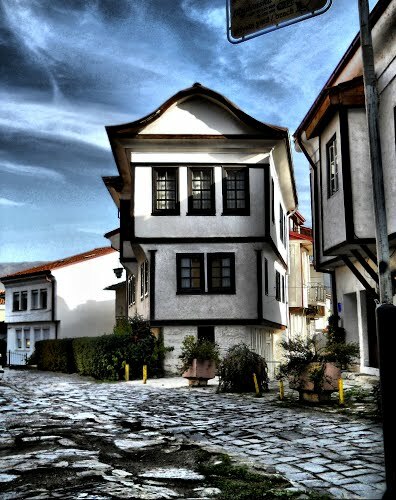 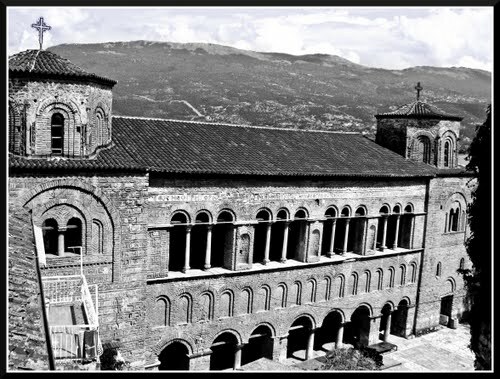 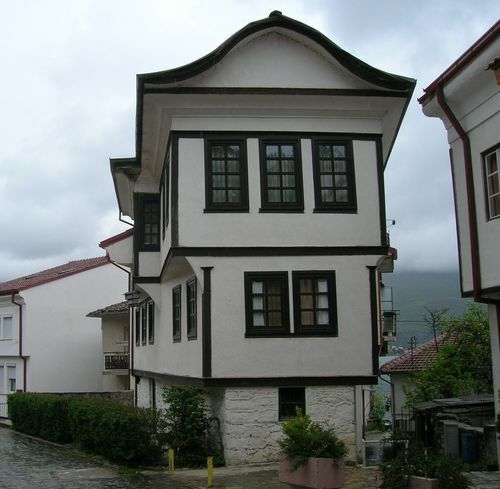 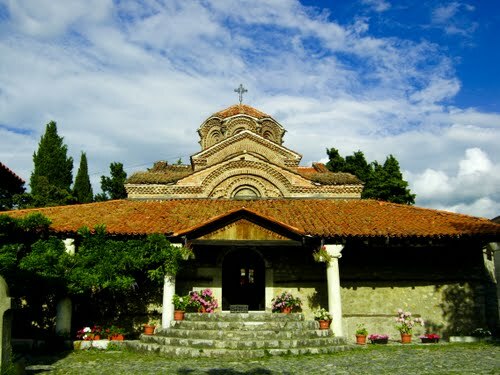 Saint Nikola Bolnicki was built in 1313 with dormitories around them which were used as quarantine stations for visitors of Ohrid. 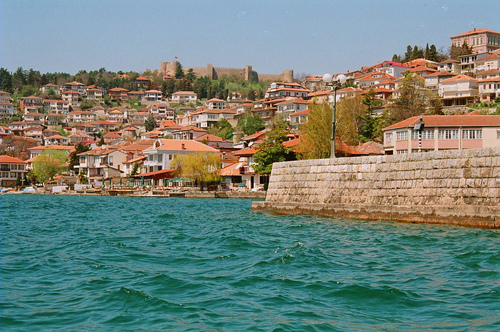 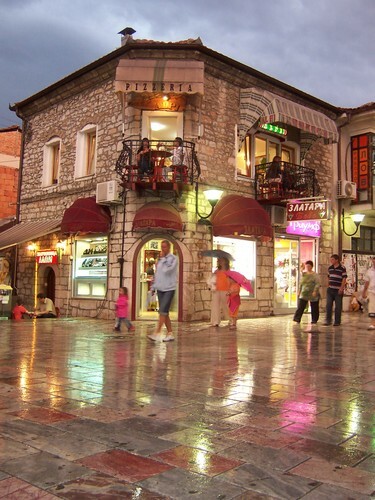 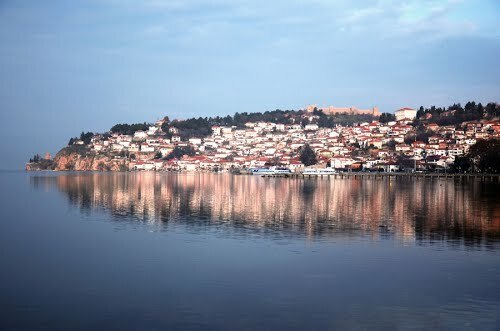 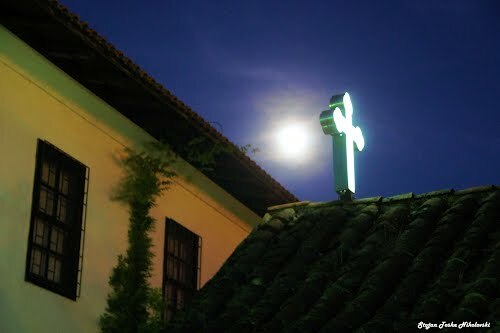 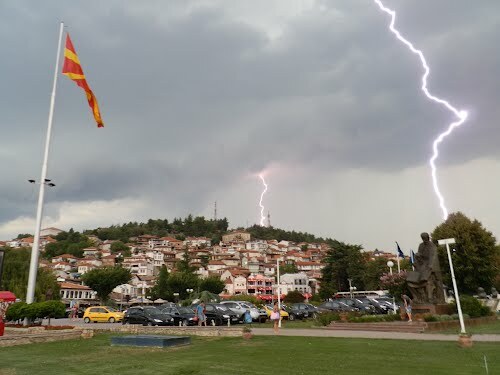 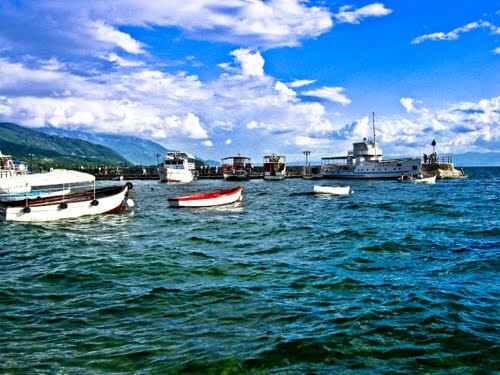 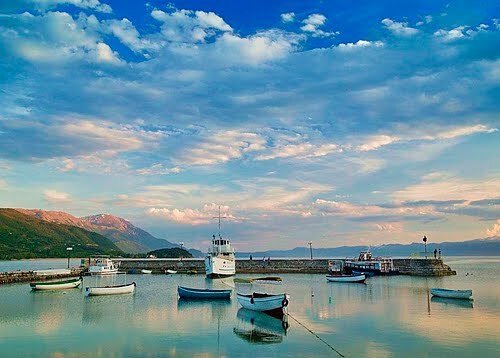 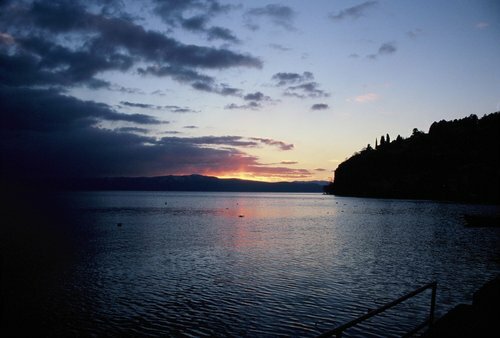 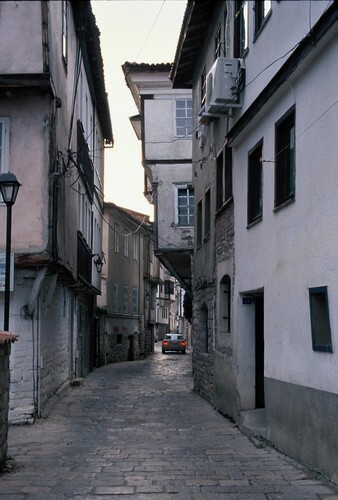 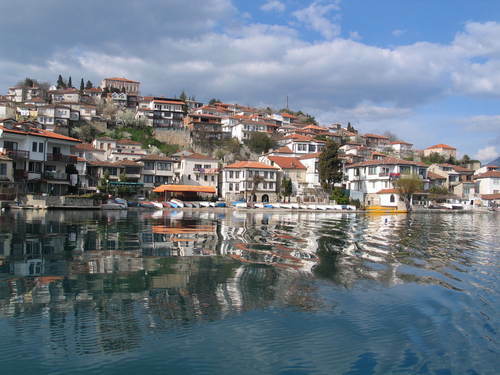 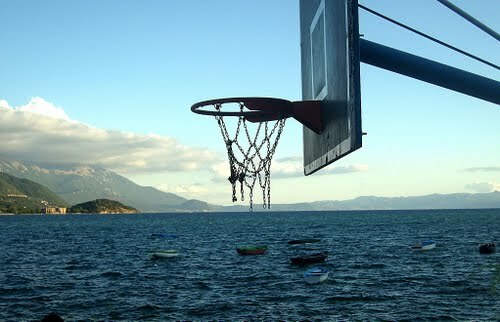 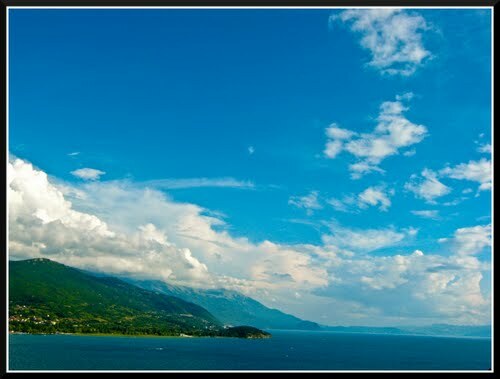 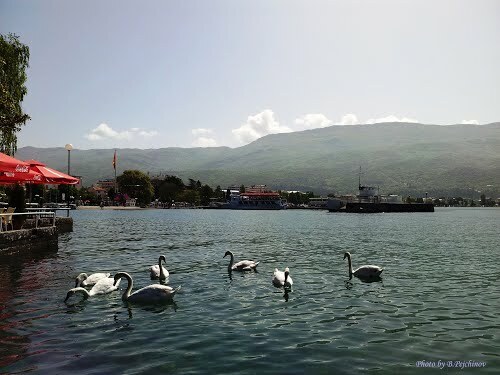 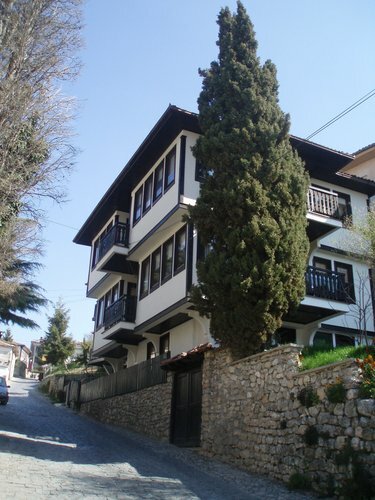 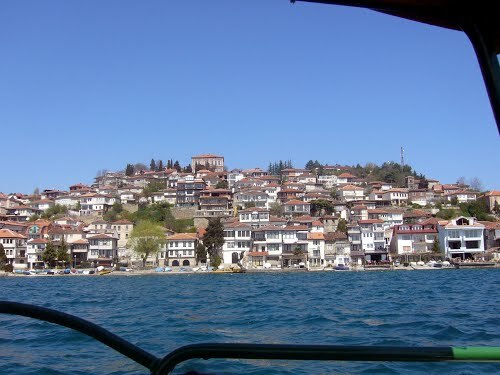 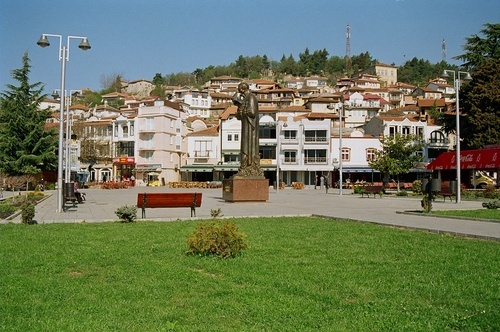 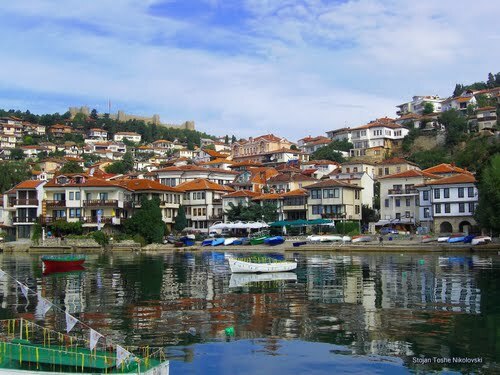 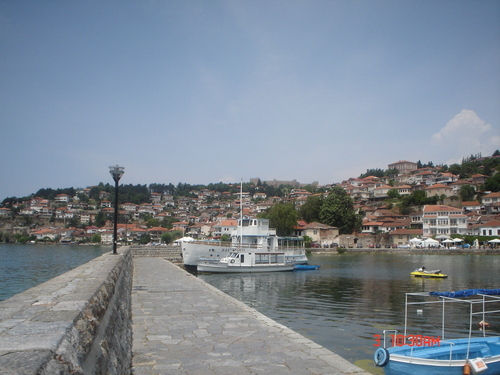 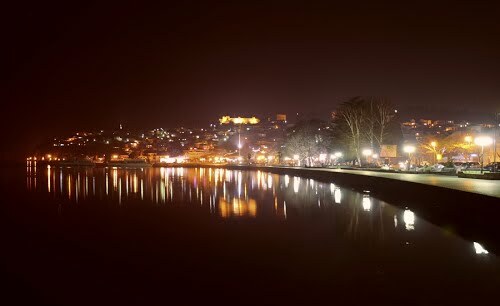 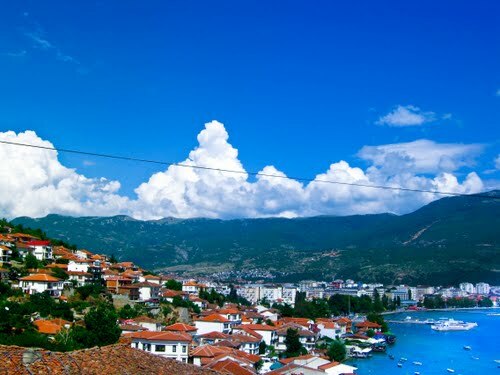 It's located near the shore of the Ohrid lake. 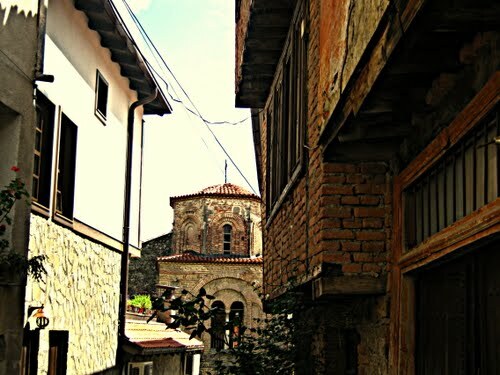 After the coming of the Turks the structure of the city changed and they lost their purpose, so they were turned into hospitals. 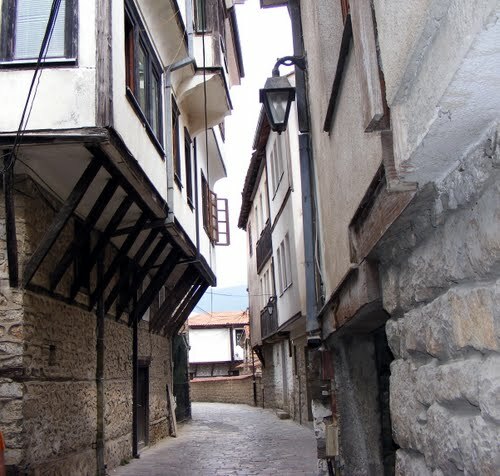 That is where the name Bolnicki comes from (bolnica - hospital). 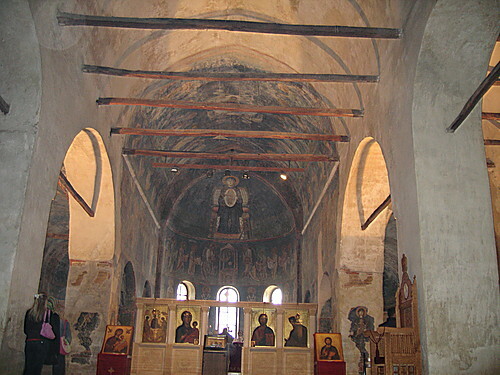 The painting on the walls of the church originate from several periods. 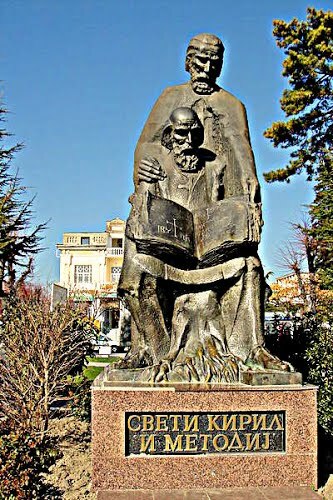 Several are particularly noteworthy: "Falling Asleep of the Holy Mother of God", "Transfiguration of Christ", and "Entering into Jerusalem"; also the figures of St. Clement, St. Nikola and St. Pantelejmon, which are represented in life size, as well as the images of the holy warriors Theodor Tiron and Stralitat. 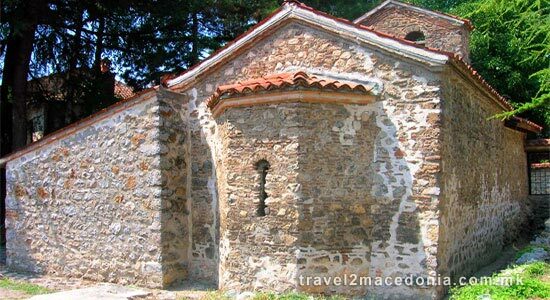 The few icons in the church are also of special value, the most significant being the litian (religious procession) icon dedicated to St. Naum.